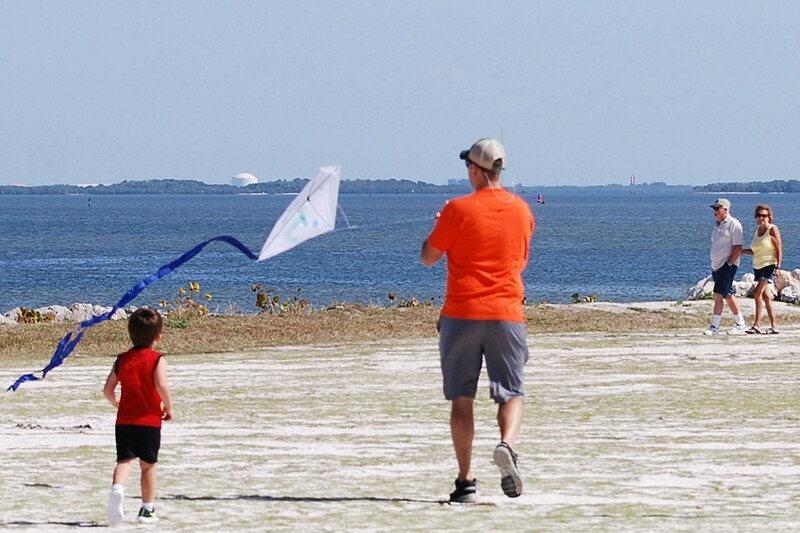 The annual Kite Fest in Apollo Beach is a great way for families to spend time together and create wonderful memories. This year’s high-flying event, the 11th annual, will be April 13 at the Apollo Beach Nature Preserve, 6760 Surfside Blvd. Admission and parking are free. Cool, breezy weather has been beckoning residents outdoors lately, and nothing says springtime like the annual Kite Fest in Apollo Beach. Hosted by the Apollo Beach Beautification Committee, this year’s high-flying event is set for Saturday, April 13, at the Apollo Beach Nature Preserve, 6760 Surfside Blvd. It will take place from 10 a.m. to noon, and admission and parking are free. Last year, about 60 schoolchildren assembled and decorated free kites and then scampered along the beach to get them aloft. They also were treated to grilled hot dogs, cookies, chips and water. The beautification committee supplies the kites with proceeds from its annual plant sale, which was held March 9. Anyone already owning a kite is welcome to come fly it and join the fun. As always, volunteers will be on hand to help put kites together and show kids how to fly them, if needed. Linda Thiffault, of Apollo Beach, attended last year’s Kite Fest with her husband, John. She said they had a ball watching children learn the ropes of kite flying. Thiffault plans to turn out again this year. Flying kites is a big deal in Bermuda, where she’s from originally. “We fly kites on Good Friday every year there,” she said. “We do it to symbolize Christ’s resurrection. It’s a big celebration. But there’s more,” she said. The Apollo Beach Beautification Committee is a 501(c)3 nonprofit organization, which raises funds primarily through donations and its annual plant sale. This small group of volunteers puts up patriotic banners on Memorial Day, July 4 and Veterans Day and Christmas décor, immediately after Thanksgiving. If you’d like to join the committee, email coachandml@aol.com. Or to make a donation to help keep the annual Kite Fest going, mail a check to the Apollo Beach Beautification Committee c/o Mary Lou Luce, 850 Symphony Isles Blvd., Apollo Beach, FL 33572. April 1 through 30 is National Kite Month. For information on kite basics, kite etiquette and more, visit www.nationalkitemonth.org/how-to-fly-a-kite/.